Smoothies are the perfect grab and go snack or small meal. They are loaded with nutrients and natural sugars from the fruits (and sometimes veggies!) that make up this yummy beverage. You can pour it into a mason jar, grab a reusable straw, and sip to your heart’s content! We’ve decided to enjoy today’s goodness a little more slowly in the form of a smoothie bowl. Set aside twenty to thirty minutes to prepare, sit down, and slowly enjoy your breakfast before embarking on the rest of the day. In a blender, combine strawberries, peaches, coconut cream, almond milk, and fresh ginger. Blend until mixture is smooth. 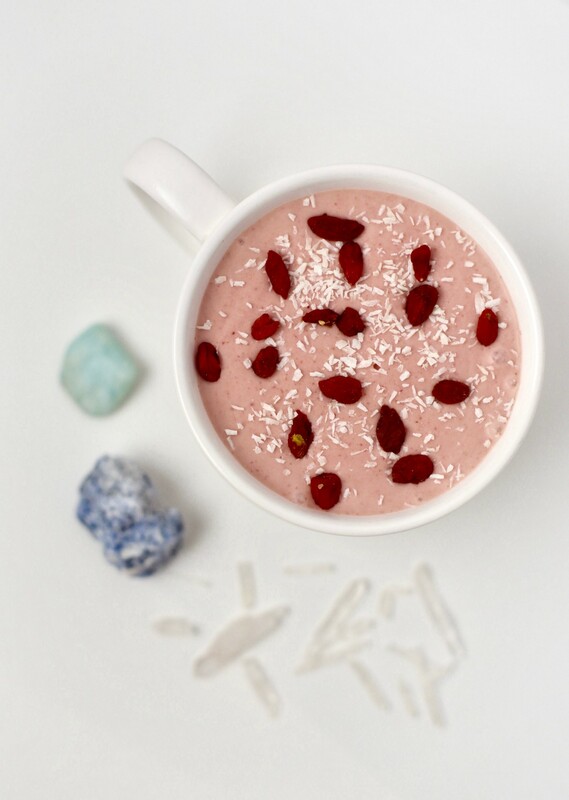 Enjoy immediately in a glass, or pour into a bowl and sprinkle with shredded coconut and goji berries. Enjoy!